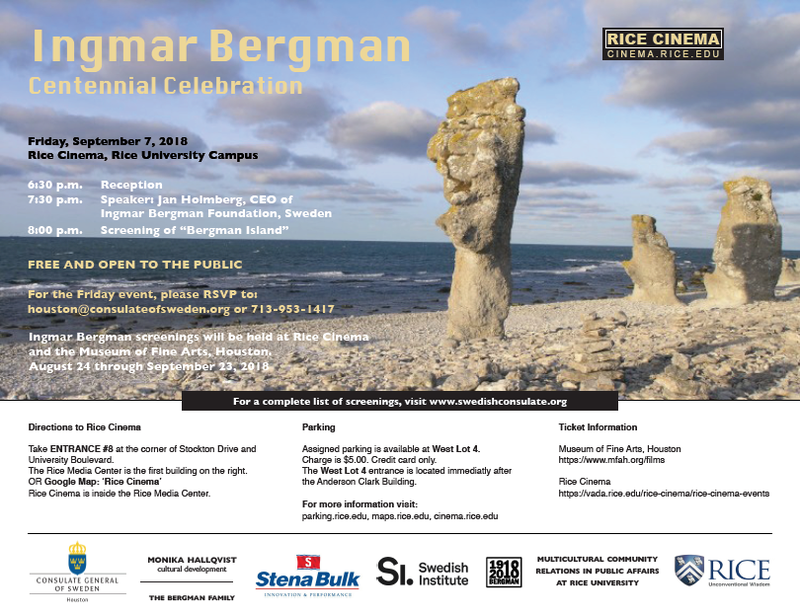 The Swedish institute and the Swedish Film institute will celebrate the Swedish film director Ingmar Bergman, who was born 100 years ago. Ingmar Bergman screenings will be held August 24 through September 23 at Rice Cinema and the Museum of Fine Arts, Houston. For a complete list of screenings, visit www.swedishconsulate.org.